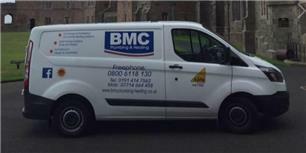 BMC Plumbing & Heating Services - Bathrooms, Plumber based in Blaydon-on-Tyne, Tyne and Wear. We are small family run business, we offer all things bathroom from fitting to tiling and plumbing. Our matrials are gaurenteed for 5 year and we offer a 5 year guarantee on our work. No obligation quote available on - 07714 664458.